MUST SEE this beautiful Symphany's Model Rambler Home in coveted Old Mill Village neighborhood in Kaysville that is move-in ready! Everything from the inside out has been very well taken care of by this owner! You will love this nice open floor plan that is light and bright with plantation shutters all throughout the house, vaulted ceilings, fireplace and beautiful hardwood flooring. The kitchen features granite countertops and island bar, gas range and stainless steel appliances (all included). There are 3 large and spacious bedrooms, 2 bathrooms, laundry and separate dining room on the main level and the basement is nicely finished with 2 large bedrooms, 1 full bath and an extra large family room which is great for entertaining! Other feautures are water softener, washer & dryer, 3 car garage, large RV pad, beautifully landscaped yard with sprinklers connected to secondary water, exellent neighborhood & schools. Close to I-15, Hill Air Force Base and Farmington Frontrunner Station. The low HOA Fees covers maintaining of all the common areas and nice playground. 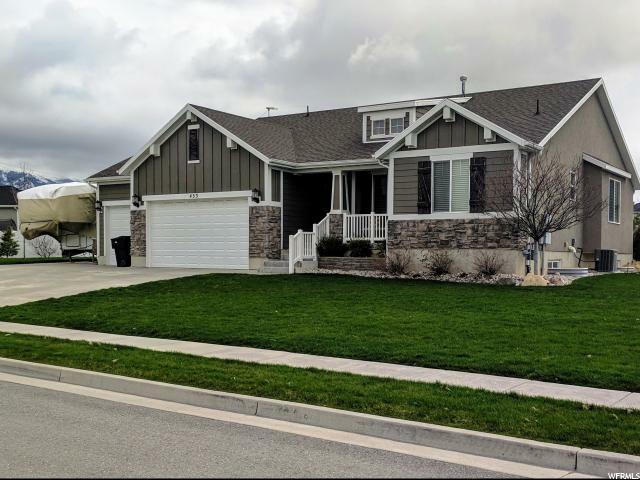 I would like more information regarding the property at 453 W COUNTRY MILL DR., Kaysville UT 84037 - (MLS #1593053). Property Listed By Ameristar Realty L.L.C.